Once upon a time there was a horsewoman. Her name was Susan Pommer. Susan was svelte, smart and strong. She was gentle and kind. Horses and humans adored her. 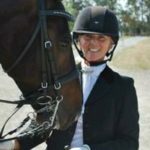 Susan earned her Bronze, Silver and Gold medals from the USDF. 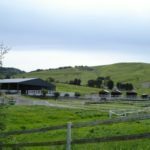 In 2003, Susan and her husband Kurt bought 11 acres in sunny Sonoma and Cadence Farm was born. 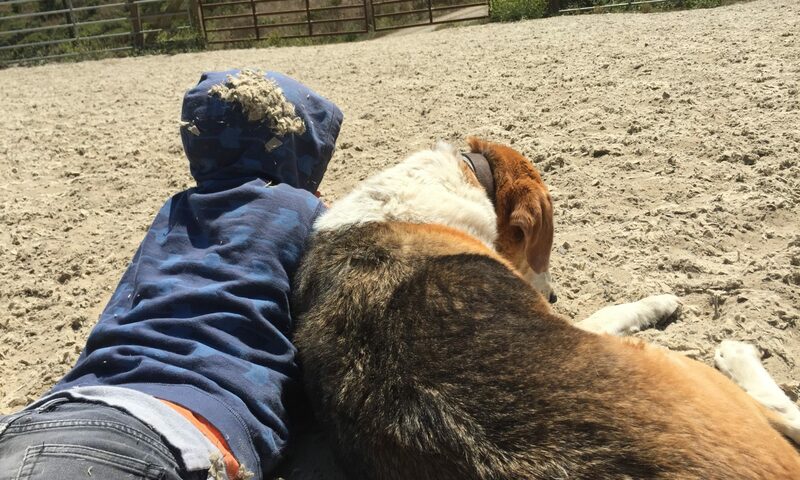 For 14 years horses and riders found joy and acceptance at Cadence. Under Susan’s thoughtful guidance, horses bloomed and humans achieved their riding goals. Susan passed last year after a short and brutal battle with lung cancer. Everyone in Susan’s life, especially her family were left confused and heartbroken. 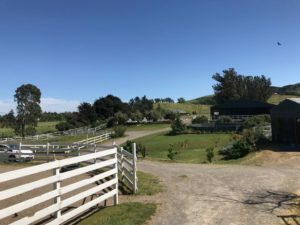 Susan’s family wanted Cadence Farm to continue with the spirit of Susan’s legacy – but who could live up to her vision, her kindness and her talent? In this spirit, Square Peg at Cadence Farm was developed. 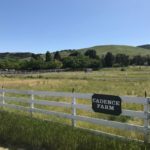 Square Peg at Cadence Farm will be a satellite of Square Peg Foundation. Our own Becca Knopf grew up at Cadence and is the project manager of the operation bringing her smile, her talents and her love of Susan to the project. 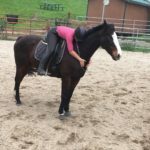 We are developing partners in Sonoma County in the autism community and working with CARMA to bring in more of our beloved OTTB’s to develop into program horses. At 6am this morning, we sent three of our horses to begin their new life at Square Peg at Cadence Farm. A new chapter for Square Peg has begun – to branch out into an additional location to serve more families. We strive to honor this opportunity with the best of what Square Peg has to offer – the gifts of Dignity and Laughter and Care. We officially begin operations July 1, 2018. What an honor to have known this lady and have this door of love and hope opened to you and the community! Becca is the right fit for this opportunity! She will bring so much love and joy to all the riders and horses she encounters! What a wonderful adventure and a perfect tribute to Susan. Love to Becca and all involved! Can’t think of better news to read on this 11th day of July (Susan Pommer was born July 11, 1955). The loss of my remarkable friend, Susan Pommer, has been so painfully felt after she lost her fierce battle with cancer 10 months ago. Under the guidance and hard work of Rebecca Knopf, we will watch Square Peg at Cadence Farm thrive.